My oh my where are all those eggs hidden by the Easter Bunny? You’ll find them following our Sunday Easter service at Carversville United Church of Christ. 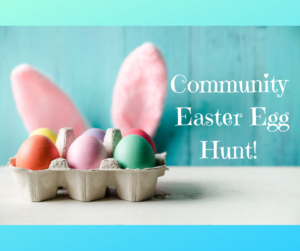 Join us at 11:15 AM on the grounds of our little church located in the historic village of Carversville for a community Easter egg hunt. There are all kinds of places that witty bunny will have hidden eggs and it’s up to you to find them. Bring your basket (if you have one) and your keen egg-spotting eyes! All are welcome to this community-centered, fun for all event!